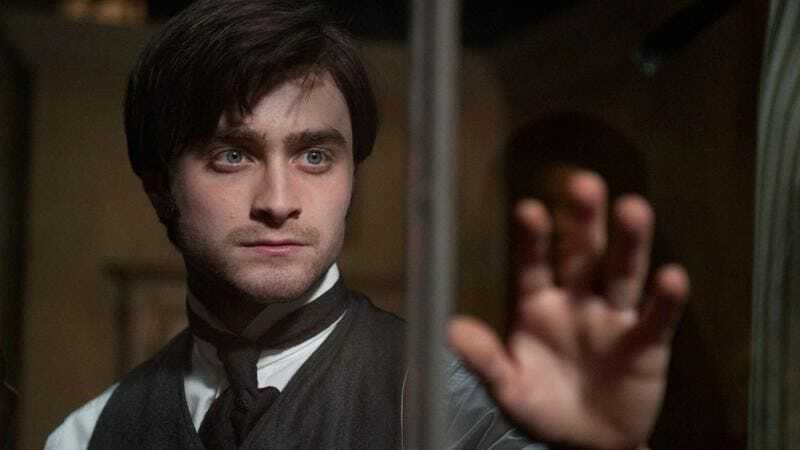 Daniel Radcliffe is doing everything he can to escape Harry Potter’s shadow—Broadway musical revivals, Hammer Horror films, impersonating Allen Ginsberg, taking the lead role in the adaptation of Joe Hill’s Horns, playing Igor in a new version of Frankenstein. Now he’s pitting himself against the Japanese mob, signing on to play real-life American reporter Jake Adelstein—a journalist covering the crime beat at a Tokyo paper who faced off against Yakuza boss Tadamasa Goto, the “John Gotti of Japan”—in pop music video director Anthony Mandler’s first feature, Tokyo Vice. Mandler has been attached to direct several different film projects in the past, but this one (which is definitely not a cross between The Fast And The Furious: Tokyo Drift and Thomas Pynchon’s Inherent Vice) looks to shoot first. At one point, Radcliffe was also set to play slain photojournalist Dan Eldon, a project that has yet to begin shooting. Given the setting and Mandler’s résumé—which includes videos for Justin Bieber, Taylor Swift, Rihanna, fun., and Nicki Minaj—this other true-story tale of dangerous journalism will likely be a bit glitzier.